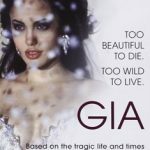 Fact-based story of top fashion model Gia Marie Carangi follows her life from a rebel working in her father’s diner at age 17 to her death in 1986 at age 26 from AIDS, one of the first women in America whose death was attributed to the disease. In between, she followed a downward spiral of drug abuse and failed relationships. This drama depicts the misery of neglected children in big cities. 13 years old Bruno is of a good family, but since the death of his grandmother he spends most of his time alone, in a phantasy world, while his mother is away at work. But then he befriends the violent Jean-Roger, who’s from a severely disturbed family, where nobody cares what he’s doing. In school Jean-Roger drives their teacher into despair just for fun. To separate the two boys, she starts to stimulate Bruno’s interests by giving him extra lessons. 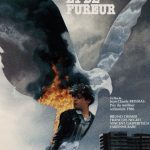 When Jean-Roger fears loosing his one and only friend, he becomes even more aggressive. Three skinheads learning about the meaning of life and true friendship.